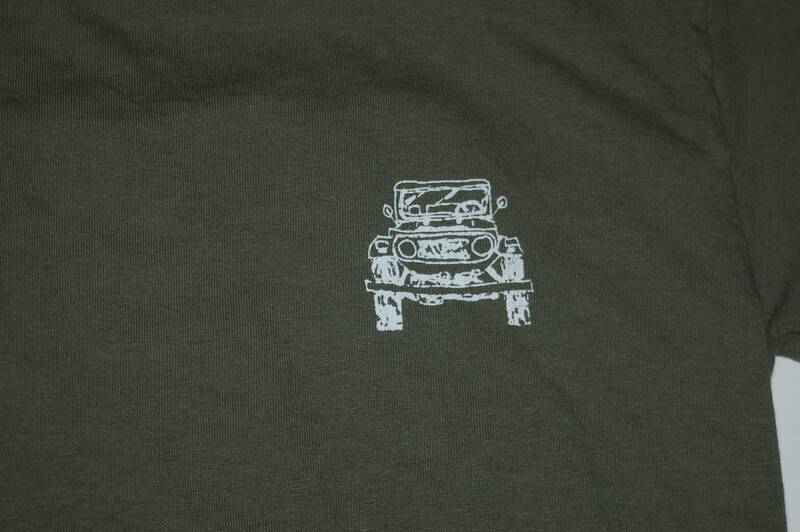 On the front of this Army Green shirt is an outline of a FJ40 series Land Cruiser, on the back, is a drawing by me of the back of a FJ40. 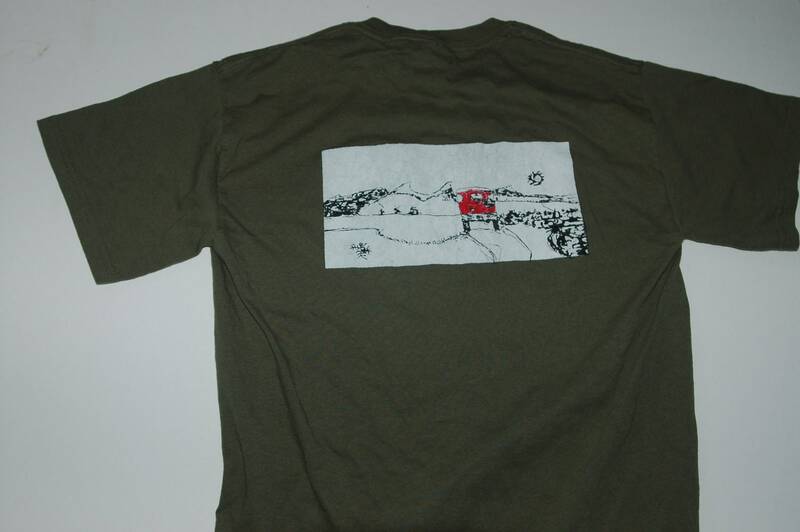 The size is Adult Small, it is a Gildan brand, 100% 6oz. 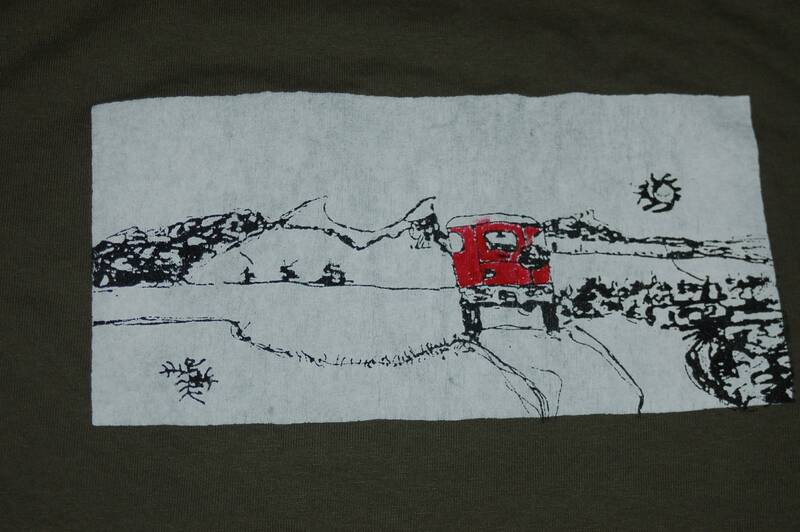 cotton. 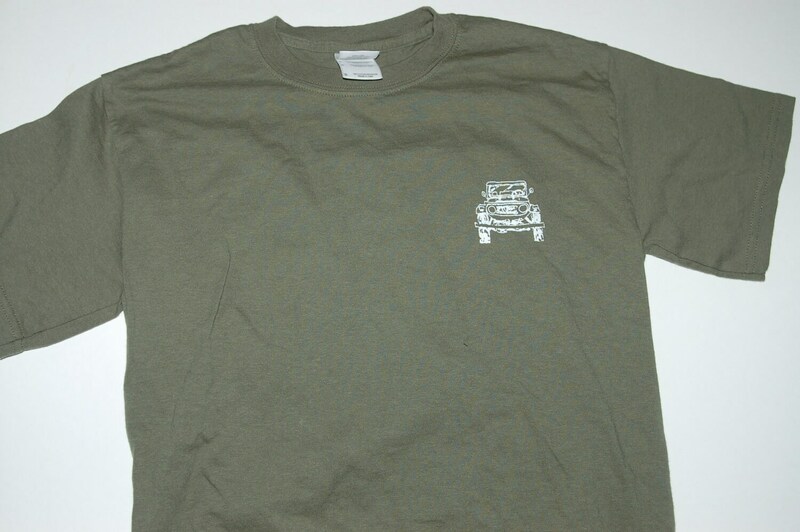 I will be getting a few more army green shirts in and also Navy, so if you would like the 40 a different color or need a different size, let me know.